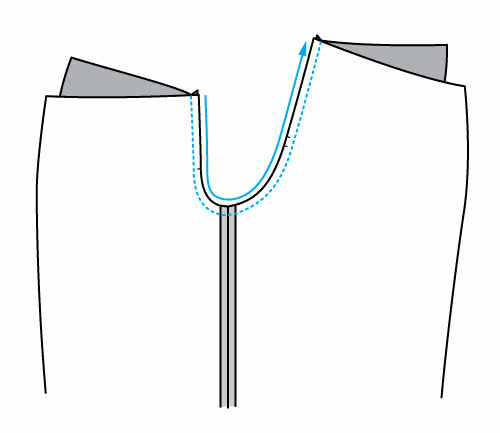 The crotch seam should always be sewn this way to improve the crotch shape. 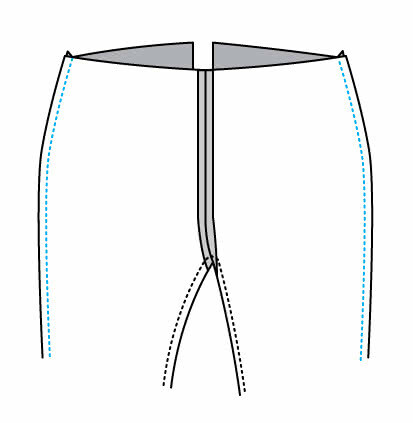 Then stitch the back crotch seam from the back waist through to the front crotch and up to the front waist. 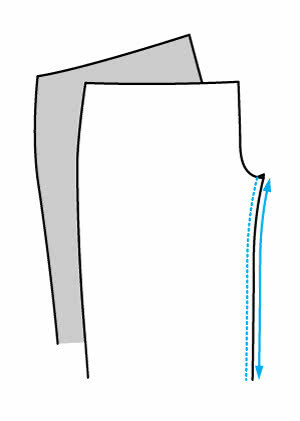 Sew the front and back outside leg seams together.